>> Uncover the hidden mean behind the events/issues in your life? >> Understand why you experience repeating patterns? >> Unravel the hidden dynamics in your relationships or improve your relationships? >> Understand the growth opportunity underlying certain events in your life? >> Learn to fully step into your role ad the Co-Creator of your life? 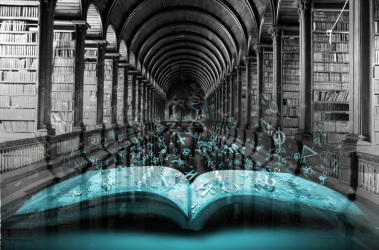 What are Akashic Records? Put very simply, your Akashic Record is the energetic recording of your soul's journey since inception. It is everything about you, all around, and within you. It is everything you are, have been, and are yet to become. In an Akashic Record consultation, I serve as your energetic translater. With your permission I open your Akashic Records, connect with the flow of energy with the assistance of your Masters, Teachers and Loved Ones, in combination with The Ascended Masters and Archangels to "translate' the energetic information into verbal information that is easy for you to understand. As part of your Akashic Record consultation, I will assist you in the process of better understanding yourself, the events in your life and how you can experience a more joyful life of peace and grace. Often times I am guided to provided healing work as part of the session. If this happens for you, it comes directly from you Akashic Recoards and therefore will be tailored to your specific needs in that moment. The direction of your Akashic Record consultation is determined by the questions you ask. Somtimes I will receive another question to ask of you instead of an answer to your question. This true question you need answered. Many times clients come to me knowing they want/need to know something, but they don't know what that something is. So we go through this process together in the energy of the Akashic Records to get down to what that "something" is for you. During your Akashic Records consultation, you may ask anything that you wish. Very strong cautions however, do not ask any question you are not ready to receive the answer. It has been my experience that I will receive the most information to share with you when your questions are related to personal growth or spiritual growth opportunities for you. If you ask questions related to future or past events, we will work together to reframe the question making it relevant to the present. After all, true change and growth can only occur in the present moment! If you are looking for someone to predict the future, tell you how many kids you already have, or describe the color of your bedroom, then I am not the consultant you seek. What I am offering you is deep, transformational soul level healing. If that is what you are after, let us begin, come together in the space of Light and Love.